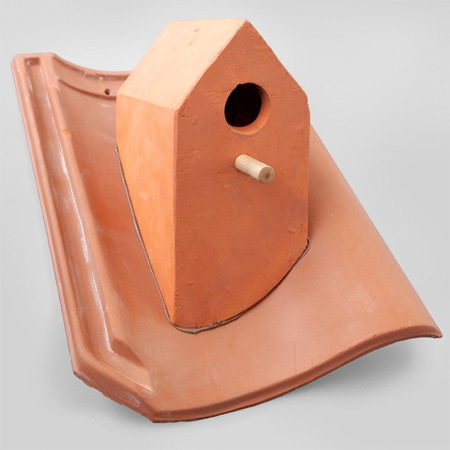 Innovative birdhouse designed by Klaas Kuiken can be easily installed onto the roof of almost any house or building, just like a regular roof tile. 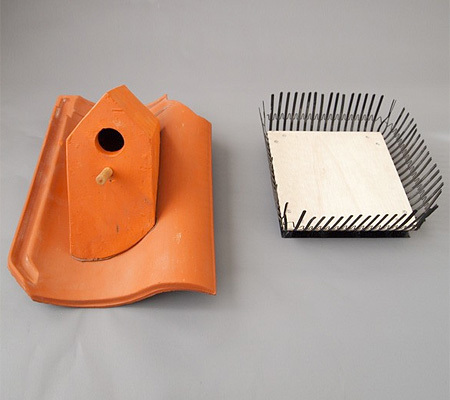 “Birdhouse Rooftile” comes with removable basket for easy cleaning. 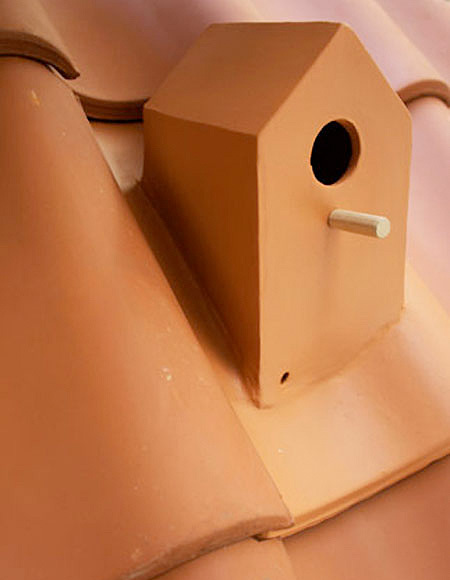 Good ventilation inside the birdhouse makes sure that the roof tile and interior temperature does not get too hot. 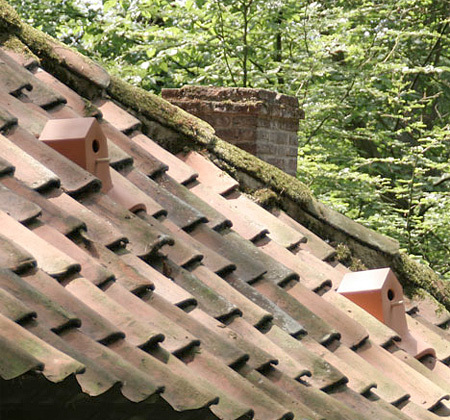 Rooftile birdhouses can also be installed in urban areas where the bird population is rapidly shrinking. Perfect nesting place for city birds. Do you have to remove the roof tile to clean the basket? If so, seems like a real flaw vs. having some way of popping the top to clean it. Also, it has a well below the other tiles, which will be really bad once water gets into it. nice idea, but i agree with pete. This needs to have some advancements before i consider buying this. Awesome gift for a bird lover! 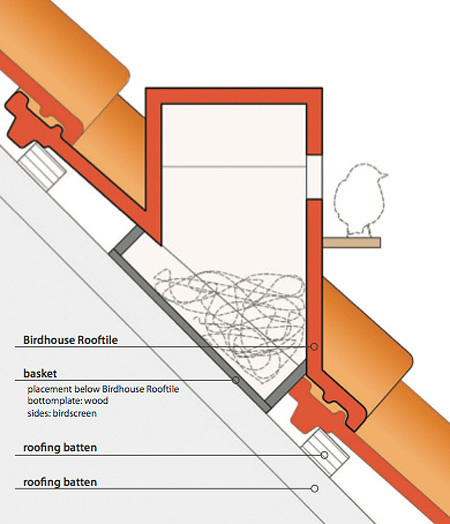 The house is designed for only one roof pitch. Good idea but, I don’t think it works! 1. Weep hole does not let water out of basket. 2. Perches not good for birdhouses. Larger birds sit there and don’t allow smaller birds to enter. 3. Most important, ventilation not explained. 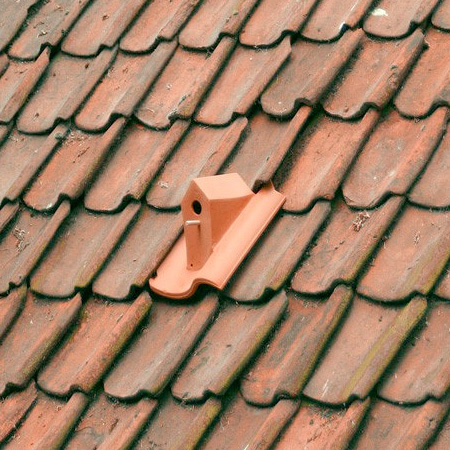 Tile roof will heat up and not be habitable for birds. This is more a bird oven than a birdhouse.